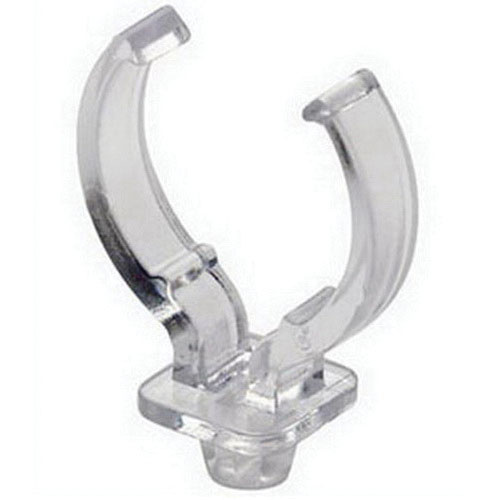 Leviton Slide on lamp support clip in clear color, has polycarbonate construction for impact and scratch resistance. It is compatible with horizontal mount 4-pin 2G11 base twin-tube fluorescent lamp holders. This support clip operates at a power rating of 660-Watts. The lamp support clip is UL listed.